Keycloak allows us to use my built-in user related features, such as User registration, login etc. Some of those need an email, such as verify email, forget password etc. 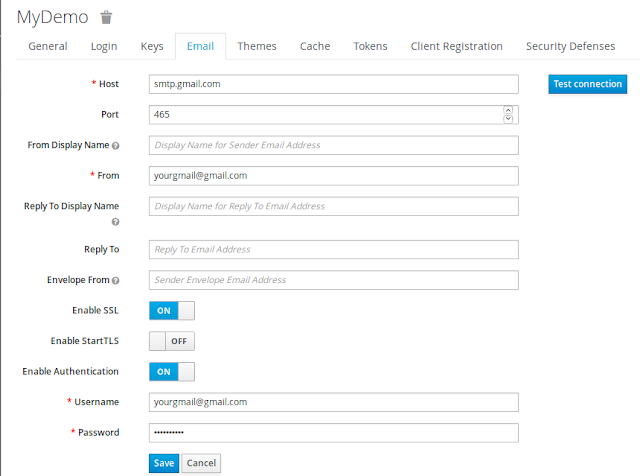 Here I with share how to configure a Gmail as your email in Keycloak realm. Goto Email on your Realm Setting. After that Please remember to click the Save button. Then click Test Connection to check whether the email is working properly. You can see a test email from keycloak in the Email inbox.